I just got word from Philips that the company intends to soon launch their first own OLED luminaire for office and retail. Philips has high hopes for this luminaire. The luminaire is modular, and each module will use four of the Philips newest OLED panels which will be unveiled at the Light + Building show in April. 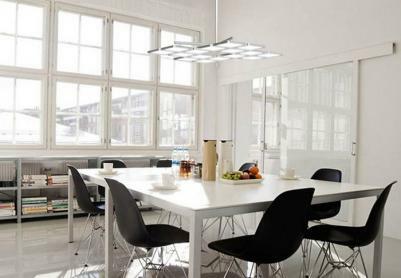 Philips says that this lamp will meet "lighting norms" for workplaces. Even though these OLEDs aren't official yet, here's the specifications: each module will output 500 lumens, and the quoted lifetime of these panels is 50,000 hours (the OLEDs aren't driven to their maximum brightness to increase the lifetime - to suit the office and retail markets). 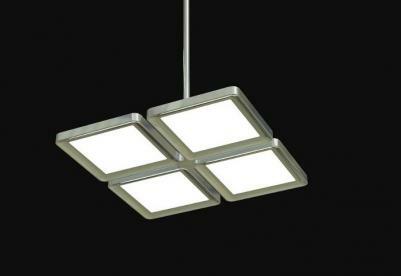 The OLEDs panels are quite efficient (60 lm/W) but the lamp in total will only have an efficacy of around 30 lm/w. The panels will have a CRI of over 80 and a color temperature of 3000K.